The presentations below were based on the Lecture Notes. I have included links to other writings and publications, but be sure to follow this blog (see rightside of page) to receive additional posts. Also in the upper left you can search topics to see if there's an article that interest you in researching your veteran ancestor or other topics. Here is the article referenced on researching mental health / insane asylum institutions. There are hints applicable to all states: Researching Institutionalized Ancestors. 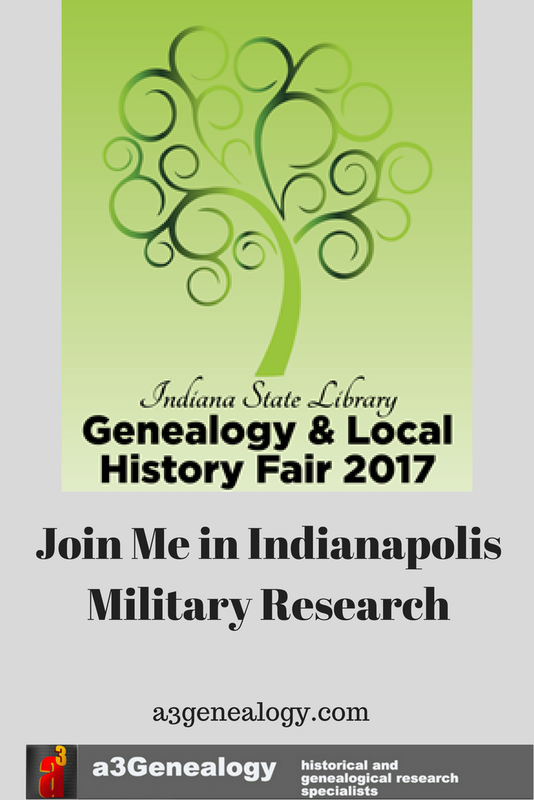 If you have questions email me at a3Genealogy@gmail.com. Blog posts are based on your submitted questions (another reason to follow this a3Genealogy blog and my facebook page. So follow me on Facebook. You will get additional posts and genealogy updates on your favorite topics. Be sure to follow the a3Genealogy blog page to receive posts by email and follow the facebook page. 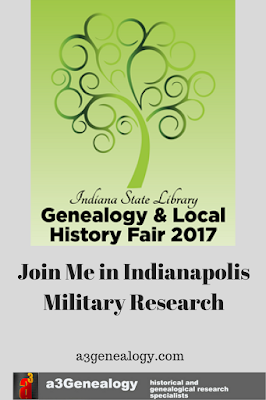 Indiana State Library Genealogy & Local History Fair, 2017.